Almost three quarters (74%) of people surveyed by PwC are ready to learn a new skill or completely retrain to keep themselves employable, seeing it as their personal responsibility and not employers, to keep their skills updated. The findings are from PwC’s latest report, Workforce of the future: the competing forces shaping 2030, which includes finding from a survey of 10,000 people across the UK, Germany, China, India and the US. Their views reinforce a shift to continuous learning while earning, so employees can keep up with technology’s impact on jobs and the workplace. The report examines four worlds of work in 2030, to show how competing forces, including automation, are shaping the workforces of the future. Each scenario has huge implications for the world of work, which cannot be ignored by governments, organisations or individuals. The majority of respondents believe technology will improve their job prospects (65%) although workers in the US (73%) and India (88%) are more confident, than those in the UK (40%) and Germany (48%). Overall, nearly three quarters believe technology will never replace the human mind (73%) and the majority (86%) say human skills will always be in demand. While respondents to the survey were positive about the impact of technology, with 37% excited about the future world of work and seeing a world full of possibilities, there is still concern that automation is putting some jobs at risk. Overall, 37% of respondents believe automation is putting their job at risk, up from 33% in 2014. And over half (56%) think governments should take action needed to protect jobs from automation. The report presents four future scenarios – or worlds – for work in 2030, to demonstrate the possible outcomes that might evolve over the next ten years due to the impact of megatrends, artificial intelligence, automation and machine learning. It looks forward to examine how workforces in each of these worlds would have adapted, as well as how technology is influencing how each of the worlds function. “The report outlines four very different worlds, each with huge implications for how we know work today. Download a copy of the report at www.pwc.com/futureworkforce. PwC commissioned a survey of 10,000 people in China, India, Germany, the UK and the US to get insights into how people think the workplace will evolve and how it will affect their employment prospects and future working lives. Around half of the respondents (54%) believe they have all the skills needed for their career. Confidence is lower than the global average in the UK (35%) and Germany (45%), and higher in the USA (60%), India (67%) and China (59%). 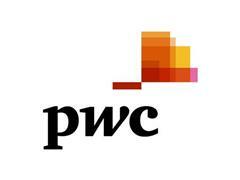 Data quoted at country level in this press notice is available on the PwC Press Centre http://press.pwc.com/. All other data appears in the full report which can be accessed at www.pwc.com/futureworkforce.